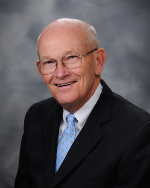 Mr. DeLawder has been a director at The Park National Bank since 1992, chairman of the board since January 2005, and chief executive officer from January 1999 through December 2013. He has been Park National Corporation chairman of the board since January 2005, chief executive officer from January 1999 through December 2013, and director since 1994. Previously, Mr. DeLawder was the president of Fairfield National Bank, division of The Park National Bank from 1985 to 1992. Mr. Trautman has been the president and director of The Park National Bank since January 2005 and chief executive officer since January 2014. Mr. Trautman was named a director of Park National Corporation in February 2002, president in January 2005, and chief executive officer since January 2014. Previously, Mr. Trautman was president of First-Knox National Bank, division of The Park National Bank from 1997 to 2001. Mr. Burt was named Park National Corporation (PRK) senior vice president and chief financial officer in December 2012, after serving as vice president and chief accounting officer from April 2007 to December 2012. Prior to his career with PRK, Mr. Burt was executive vice president and chief financial officer of Vail Banks, Inc., the parent company for West Star Bank of Vail, Colorado, from June 2005 to November 2006. Vail Banks, Inc. was sold to U.S. Bancorp in September 2006. Ms. Alvarado is president of Aguila International, a human resources and leadership development consulting company, headquartered in Granville, Ohio. She has been a director of The Park National Bank since 1991 and of Park National Corporation since 2013 and serves as the Nominating and Corporate Governance Committee chair. Mr. McConnell has been Chairman of the Executive Committee since 1996. Mr. McConnell was Chairman of the Board from 1994 to December 2004, Chief Executive Officer from 1986 to 1999, and President from 1986 to 1994, of Park; Chairman of the Board since 1993, Chief Executive Officer from 1983 to 1999, President from 1979 to 1993, and Director of Park National Bank. Mr. DeRoberts is a partner at Gardiner Allen DeRoberts Insurance LLD, an independent insurance agency, headquartered in Columbus, and chairman and CEO of The Arlington Bank. He is also a director of the Federal Home Loan Bank of Cincinnati. Mr. DeRoberts joined The Park National Bank and Park National Corporation boards in February 2015. Mr. Englefield is president of Englefield Oil Co., headquartered in Newark, Ohio. He has been a member of The Park National Bank board since 1993 and Park National Corporation board since 2015 and serves as the Compensation Committee chair. Mr. Kambeitz is owner of three Massage Envy franchises in Powell, Dublin and Lewis Center, Ohio. He has been a director of The Park National Bank and Park National Corporation since 2010 and serves as the Audit Committee chair. Mr. McLain is vice president of McLain, Hill, Rugg and Associates, Inc., a CPA firm offering tax, audit, and accounting advice that is headquartered in Zanesville, Ohio. He has served as director on the Century National Bank, division of The Park National Bank, board since 2007 and Park National Corporation board since 2010. Mr. O’Neill is president of Southgate Corporation, a real estate development and management company, headquartered in Newark, Ohio. He has been a director of The Park National Bank since 2004 and Park National Corporation since 2013. Mr. Zazworsky is president of Mid-State Systems, Inc., a transportation company, and Mid-State Warehouses, Inc., a warehousing and distributing company, both headquartered in Hebron, Ohio. He has been a director of The Park National Bank since 1991 and of Park National Corporation (PRK) since 2003. He currently serves as lead director for PRK and the Risk Committee chair. Ms. Hupp is president and chief executive officer of Sweet Manufacturing Company, founded in 1955 in Springfield, Ohio. She accepted leadership of her family’s growing company in 1996 and was instrumental in advancing the company’s international sales operations. Since 2012, Ms. Hupp has served on the advisory board for Security National Bank, a division of The Park National Bank. She was elected to the Park National Corporation board of directors in June 2015. Ms. Sloat is president and COO for AEP Ohio and is responsible for all aspects of electric service for AEP Ohio’s 1.5 million customers. She was elected to The Park National Bank and Park National Corporation boards of directors in June 2015.